… and learning Clarion 6. It’s quite interesting to switch from “normal” programming to RAD programming. Learning Clarion teaches you new meaning of the words Rapid Application Development. Few times I heard this term in while speaking about VS. I think that it is a over interpretation. I’ll make a competition with you. We will write a database driven application simultaneously. 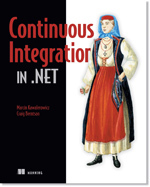 You will do it in .NET and I will do it in Clarion (after 3 days of learning ;). Few tables in connection to one another, few browse, few forms. I’m pretty suer that I’ll beat you. Sure Clarion is no comparison to VS in terms of developer comfort, flexibility, debugging, team work, and so on, and on, and on. But VS is no Comparison to Clarion in terms of Database driven application writing. Trust me. PS. I’m writing tutorials about that what I’m learning. Here you have on of then. It shows how to style a single cell (or column) in clarion list box (browse) according to some condition.